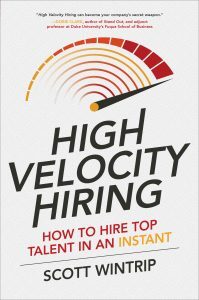 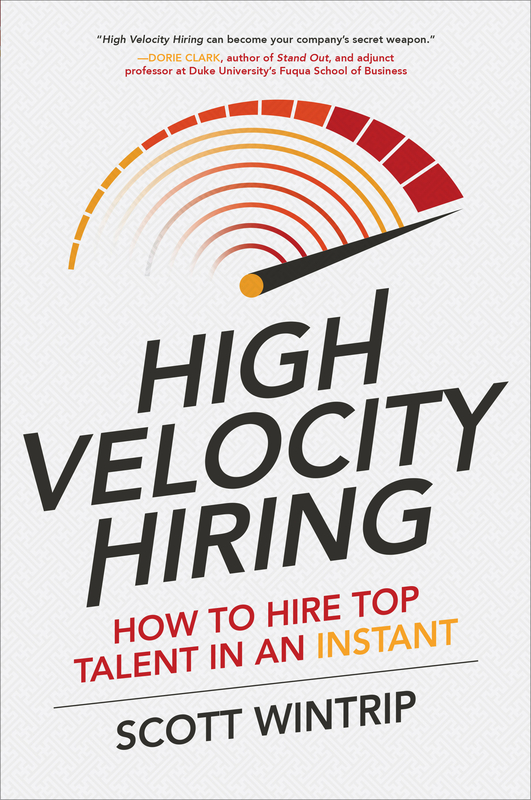 Scott Wintrip is the author of High Velocity Hiring: How to Hire Top Talent in an Instant, named a must-read book by SHRM’s HR Magazine. Over the past 20 years, Scott has led the Wintrip Consulting Group, a global consultancy that has helped more than 23,000 organizations build talent rich companies that have eliminated the stress and overwhelm of recruiting and hiring. 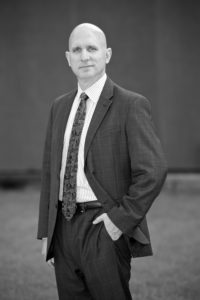 In his work with staffing and workforce solutions companies, he has created $1.3 billion in revenue growth. For five consecutive years, Staffing Industry Analysts, a Crain Communications company, awarded Scott a place on the “Staffing 100,” a list of the world’s 100 most influential leaders. 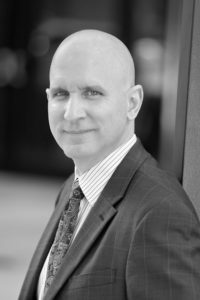 He’s also an award-winning blogger, a member of the Million Dollar Consultant Hall of Fame, and was inducted into the Staffing 100 Hall of Fame.